Rachel Littlewood reports on the first Fine Sale of 2019, which saw a Chinese Blue and White Vase attract international attention selling for £460,000 as well as a number of other notable results. The Chinese Blue and White Vase (FS41/519) that sold for a hammer price of £460,000 in our Exeter salesrooms on 30th January 2019. The main attraction in the recent Fine Art Auction held on 29th/30th January 2019 was a Chinese blue and white vase (FS41/519). Measuring just 27cm in height, the vase arrived at Bearnes Hampton & Littlewood in a cardboard box, having been kept in the attic for many years. Although the vendor had no idea that this was a rare or valuable piece, the Ceramics Department knew that it was something very special and a pre-sale estimate of £20,000-£40,000 was given to the vase, but it soon became clear that there was a huge amount of interest in this piece and potential purchasers flocked to see the vase from around the world. Fierce and tense bidding ensued on the sale day for this lot, with the final hammer price reaching £460,000. 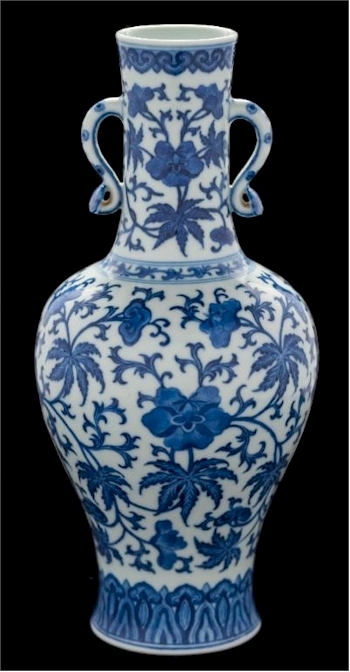 Video: Sale of Chinese Blue and White Vase for £460,000. 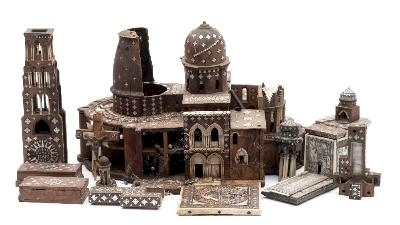 Another surprise on the day was for a 19th Century hardwood, ivory and mother of pearl inlaid model of The Church of the Holy Sepulchre (FS41/834). Having the provenance of being from Ugbrooke House, Chudleigh, Devon, it exceeded all expectations, selling for £25,000. A 19th Century Hardwood, Ivory and Mother of Pearl Inlaid Model of the Church of the Holy Sepulchre (FS41/834) from Ugbrooke House in Devon sold in our Two Day Fine Art Sale starting on 29th January 2019 for £25,000. Jewellery prices were strong with a 20th Century diamond solitaire ring (FS41/229), the diamond estimated to weigh 1.9cts and the ring contained in an Asprey box selling for £5,100, whilst a Cartier 18k Tank Americaine automatic calendar wristwatch (FS41/167) realised £5,000. 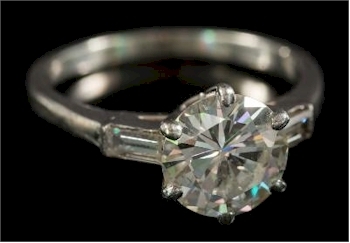 This 20th Century Diamond Solitaire Ring (FS41/229) realised £5,100. 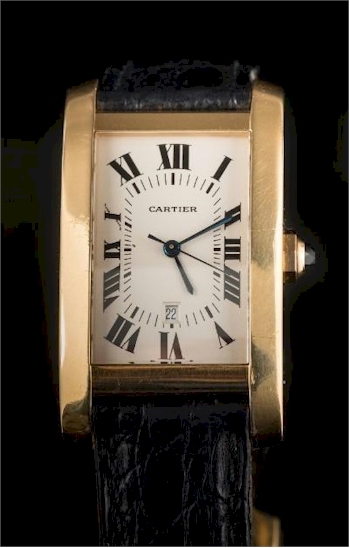 A Cartier 18K Tank Americaine Automatic Calendar Wristwatch (FS41/167) fetched £5,000. 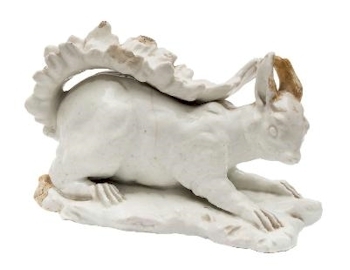 The rare Chelsea squirrels being offered (FS41/627 and FS41/628) also proved very popular. 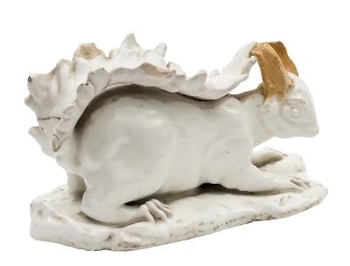 Both models were unrecorded in literature as other known examples of Chelsea squirrels are modelled with the animal seated upright on their haunches eating a nut and these were not. These rare models exceeded their pre-sale estimates selling for £16,500 and £17,000. ... while this example (FS41/628) realised £17,000. 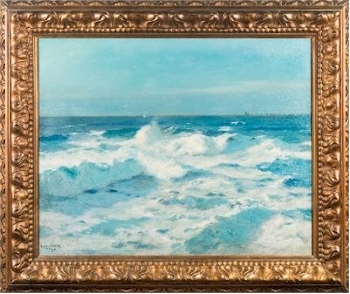 Other highlights over the two day Fine Art Auction in Exeter included a Chinese crackle glazed brush washer (FS41/542) that sold for £12,500, an oil on canvas of coastal waves breaking in sunlight by Julius Olsson (1864-1942) (FS41/385) that realised £4,100 and a Regency mahogany breakfront library bookcase (FS41/1017) that sold for £6,000. 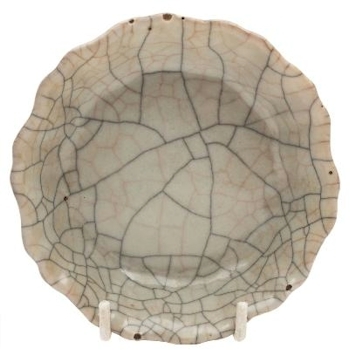 A Chinese Crackle Glazed Brush Washer (FS41/542) attracted a winning bid of £12,500. An Oil on Canvas by Julius Olsson (1864-1942) went under the hammer for £4,100. 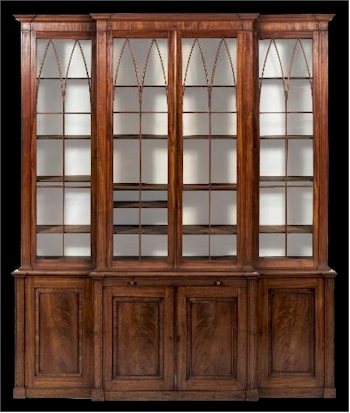 A Regency Mahogany Breakfront Library Bookcase (FS41/1017) sold for £6,000.